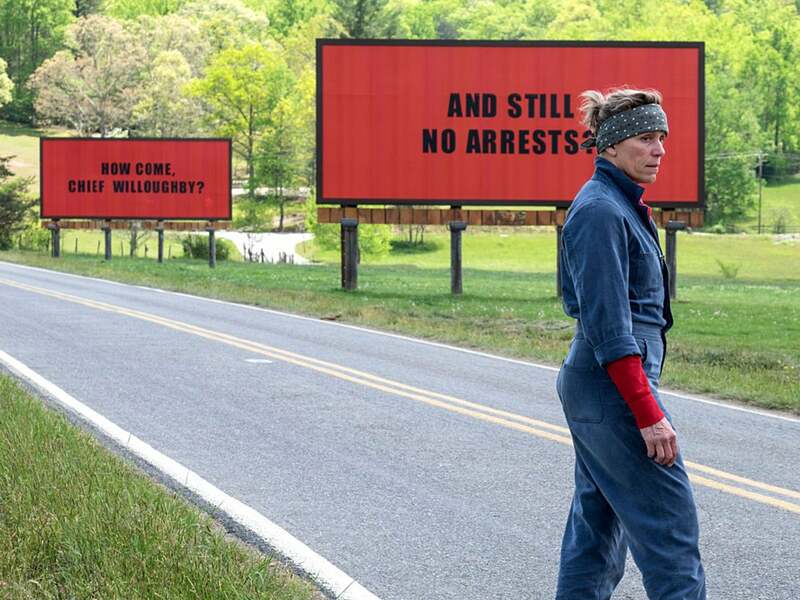 Intense, funny, tragic and cathartic are the words that may best describe Three Billboards Outside Ebbing, Missouri, a story of desperation, revenge, and determination featuring a fierce Frances McDormand as a divorced Missouri mother who pursues justice for her murdered daughter with the steely resolve of Rosie the Riveter (if, that is, she was also Clint Eastwood’s daughter). Billboards is prescient in the way it places the action in a region which is becoming a nexus of sorts of the cultural and political forces roiling present-day America. The state of Missouri was the scene of the Ferguson protests and episodes of police brutality, which recently made it the object of a first-ever travel advisory by the NAACP as potentially dangerous for African American travelers. It is also frequently cited on the media as embodying Middle American sensibilities. And Hollywood has been taking notice (The Ozarks is set there) and although Three Billboards was written eight years ago, it uncannily places misogyny, casual racism, class resentment and endemic violence at the center of a narrative, which paints a picture of Americana on the verge of a nervous breakdown. The press screening here, before the world premiere at the Palazzo, elicited laughter, tears and spontaneous applause for an awe-inspiring film in its boundless ambition of scope and tone. A thoroughly original hybrid of dark comedy and occasional slapstick, in which McDonagh purposefully keeps the viewer emotionally off-balance with characters who first appear to embody stereotypes and then refuse to conform to them. Supporting McDormand are Sam Rockwell and Woody Harrelson. Elisabeth Sereda met them in Venice. Virtual Reality – Finally Coming of Age in Venice?